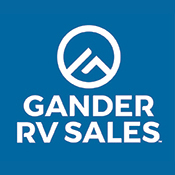 Ketelsen Campers of Colorado is your full-service Colorado RV Dealer in Denver for new and used Camping Trailers, Lance Truck Campers, Fifth Wheels for sale, family friendly Travel Trailers and Toy Haulers along with thousands of RV Parts and RV Accessories. We have been a family owned business here in Denver since 1986 and will continue to provide the same great customer service and value for many years to come. We are proud to be a part of the Route 66 RV Network of Dealers.